Why Choose Breakthrough Digital Media? 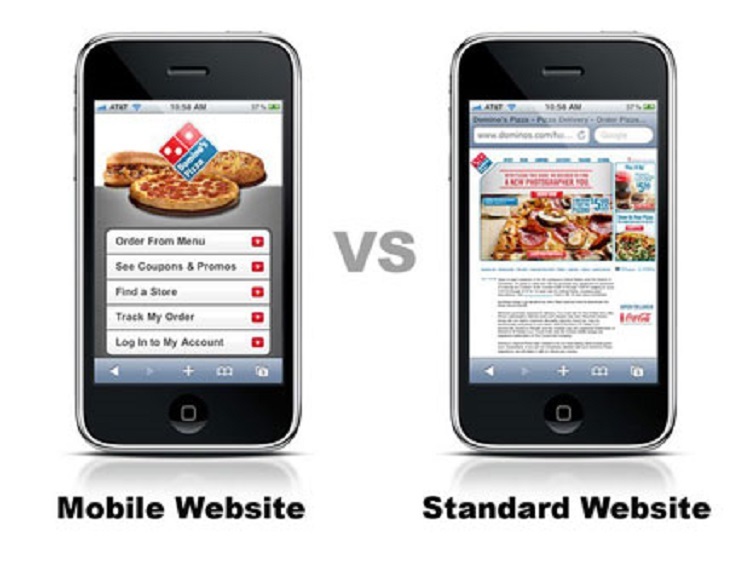 Is a Mobile Version of Your Website Necessary? It’s indisputable that the “Big G” is an e-commerce site’s main concern regarding Search Engine Optimization (SEO) strategies. There are challengers, but Google continues to be the most-used search engine in the world. So when they announced they would be adjusting their algorithms starting April 21, 2015, to favor sites that are mobile-friendly, everybody stood up and took notice. Nice of Google to give everyone plenty of notice, isn’t it? Anyone who is seriously engaged in e-commerce, or really just trends in web usage in general, should have known that this was inevitable. The number of mobile users had been on the rise since 2007, and in 2014, the percentage of traffic to e-commerce stores from mobile devices exceeded 50%. In an article by Dreamscape Design, the authors expressed surprise that even large e-commerce businesses have been slow in preparing for the ongoing onslaught of mobile devices. Not to be catty, but we’re a bit surprised, too. It’s true that not so long ago, only 50% of the searches were done via mobile; purchases were only made on a desktop or in the store. But that’s a paradigm long gone now. Mobile commerce has been a viable channel for sales since before 2010. Yet widespread adoption has been painfully slow. The Dreamscape Design article was written more than three years ago, and the authors urged its readers to get ahead of the pack and get mobile-friendly. Another “ancient” article from iMarketingFactory.com exhorted the same thing, but the pleas fell on deaf ears. Fast forward to 2014, and the predictions have all come true. 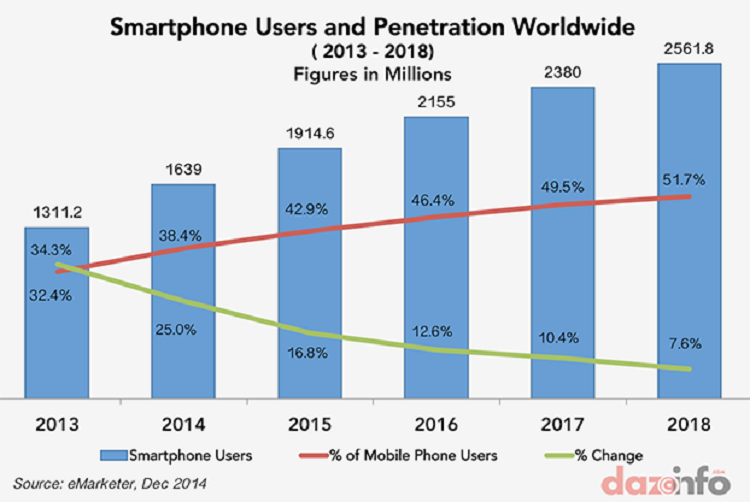 According to DazeInfo, the number of smartphone users grew from 2013 to 2014 by more than 32 percent, and by the end of 2015 it should increase by another 25 percent. All the experts have agreed for years, and Google’s making it a point to emphasize that search traffic will increase for mobile-friendly sites. It might be time to throw out any template that doesn’t have a responsive cross-platform solution embedded on purchase. 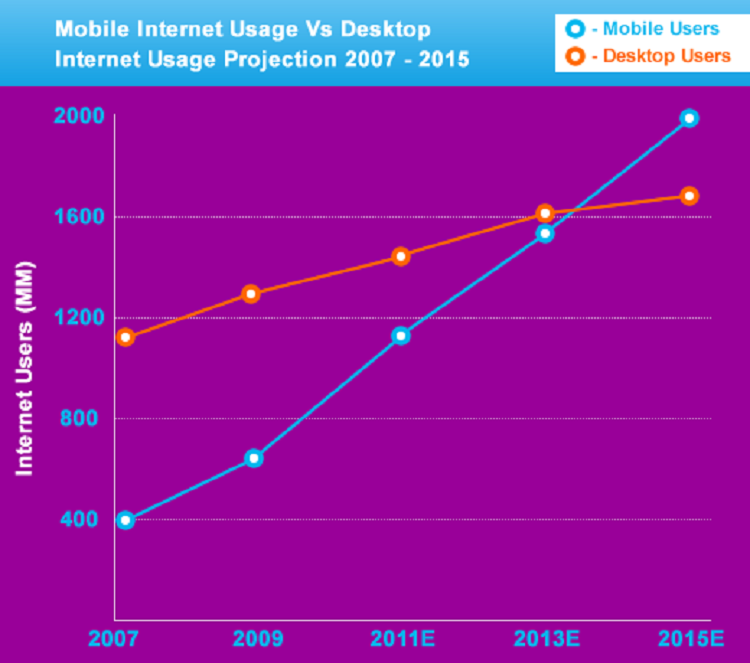 It’s obvious that mobile usage is increasing and will continue to do so for the foreseeable future. For our purposes, however, we should look at how all these new mobile consumers are going to actually use their smartphones. However, based on current trends, this pattern of device-use buying behavior isn’t likely to last. 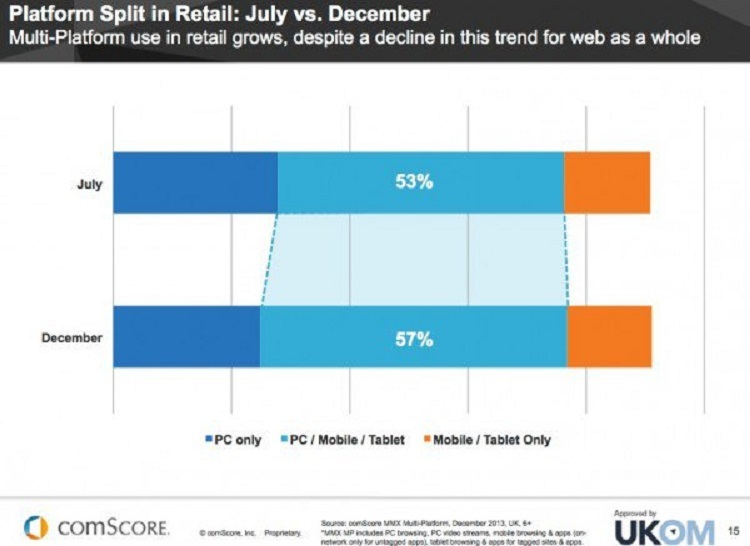 Even e-commerce experts are surprised at growth of mobile-only retail sales. According to InternetRetailer.com, there should have been an 80 percent jump in sales volume over 2013, from $47 billion to $80 billion. So whereas the formerly held view was that people like to use their phones for shopping and their desktops for buying, these days trust in mobile purchases has increased. And folks are feeling a lot more comfortable converting straight from their smartphones. It may at first seem that this not-so-new development would put a crimp on operations. This is especially a matter of concern for small e-commerce retailers that have been focused on learning to compete in the desktop-only environment. However, this doesn’t necessarily need to be the case. Mobile solutions abound when you look at large-scale web builders and independent developers alike. Rather than thinking of how it can be done, it might be more productive to think about why mobile online buyers are driving revenue the way they are, and therefore why a mobile solution is so necessary. It’s not so much that there are more buyers, really. It is just that they are buying more. Let’s break it down. According to this analysis by Ian Mills of Magicdust Web Design, mobile buyers are different. They are not like desktop users, who are more patient and cautious. Mobile buyers want to get information quickly and simply. Many mobile online purchases are impulse buys, and they spend more money on a single purchase than their desktop counterparts do. By making your website mobile-friendly with a simple purchase path, you are eliminating barriers to conversion. In other words, it makes it much easier for you to make a buck than if you just stick to a desktop-only strategy. Mobile users are impatient with cluttered websites, which may appear unproblematic to desktop users. The good news is mobile users are easier to engage than desktop users because they’re usually browsing during another (boring) activity, like commuting to work or watching commercials on TV. In other words, they have time to kill. On the left, you can see that the call to action (CTA) is clearly visible, a must if you want high conversion. On the right, the text is small and the user will have to look for the button to click to make a purchase. Not good. That’s about 50% of sales down the drain. Mobile users are more likely to favor sites that favor them, i.e. sites that are mobile-friendly. While content is still important for your website, it is not always advisable to insist on including every scrap of it on your mobile version because it will probably slow your loading time down. Mobile users seldom tolerate slow loading, so if your website doesn’t load in 3 seconds or less, you aren’t very mobile friendly. Text-heavy content that looks fine on your desktop site will probably be unreadable on mobile, plus it may obscure your key selling points (see above). In addition, a text-heavy website can be difficult to navigate. All of this will conspire to make your website a tight trampoline: You will have a high bounce rate. You have to prioritize the content that you want to include on a mobile display because you’ve got a very limited space in which to arrange your on-page elements. 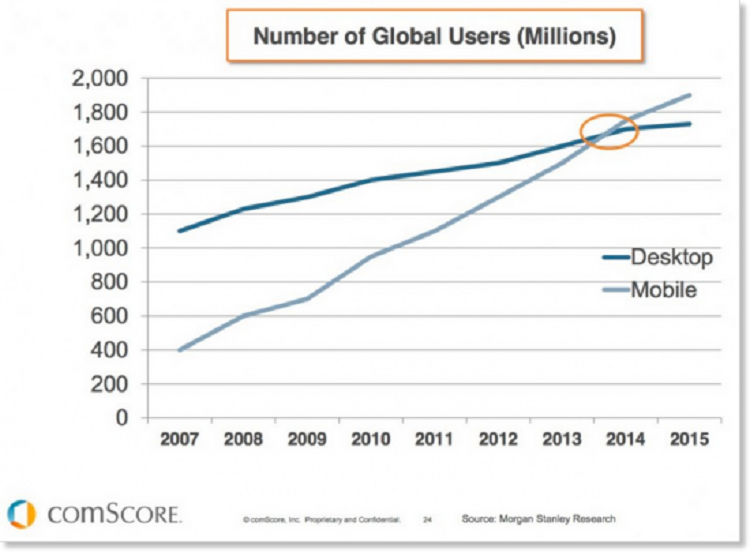 You can’t ignore the fact that mobile users have become a significant part of your market. The only way that you will continue to be competitive is to make your website mobile-friendly. The good news is that because so many businesses are gearing up for the mobile market, many service providers are on hand to make your site mobile-friendly for you at reasonable prices. The bad news is that if you don’t make the transition, you may as well close shop. You can trudge along counting on the users who still prefer to shop stationary, but you’ll be missing out on the more impulsive and easier-to-convert mobile crowd. That’s a demographic your competition will be sure to swallow up. Overall, this trend is a good thing for many enterprising e-commerce retailers; mobile users are much easier to sell to than desktop users…provided you make it easy for them to buy. 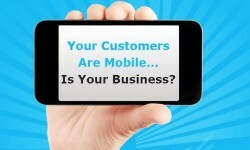 How has increasing mobile usage affected your business model? Tell us your thoughts in the comments.